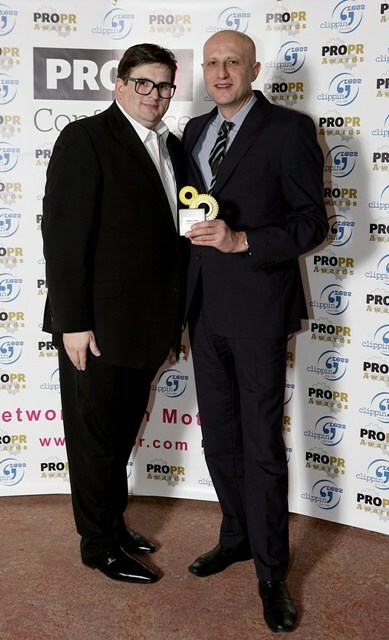 Galin Borodinov, CEO of PR Point received the 2013 PRO.PR award for his contribution and unselfish commitment to development and acknowledgement of public relations profession in South-East Europe. The award ceremony took place on 15 March at the "Crystal Hall Kvarner" in Opatija, Croatia. "It's great that the links between the professional PR communities on the Balkans are becoming more intense and that with the PROPR award we are assisting this process." said Galin Borodinov after the ceremony in Opatija. The PRO.PR Awards recognise exceptional achievement in communication management by individuals, entities or projects and those who contribute internationally to the cause of effective public relations. Posted on March 17, 2013 by Galin Borodinov.